Preston is a Northern suburb of Melbourne that saw large growth in the 1920s and 1930s and then again in the 1950's when many migrants moved to the area adding to it's diversity and providing the area with a strong soccer team. 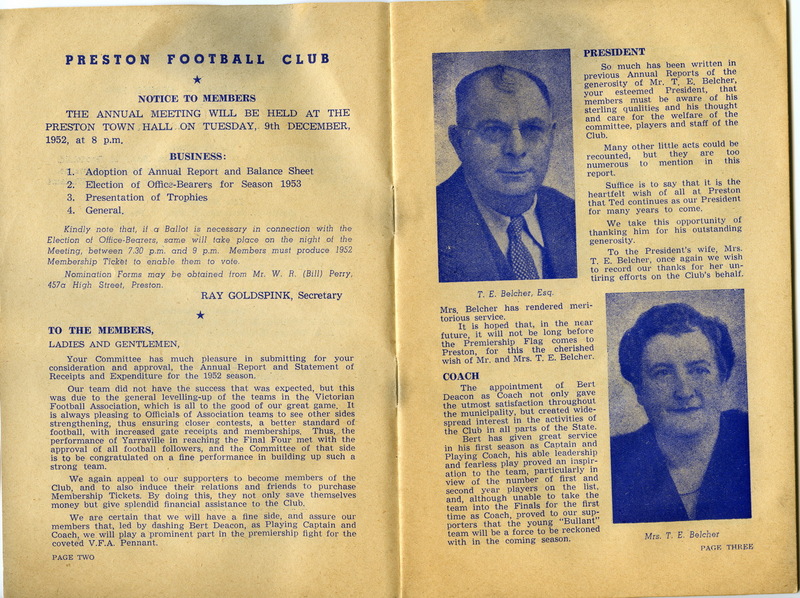 Originally, the Macedonian Soccer Club but for many years has been known as Preston Lions FC. 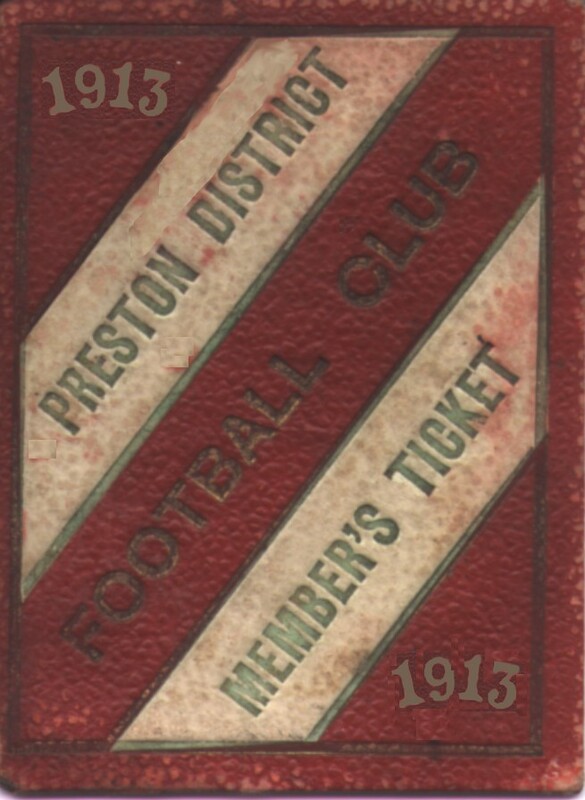 Preston joined the VFA in 1903 but was not successful and ended their stint in 1912. 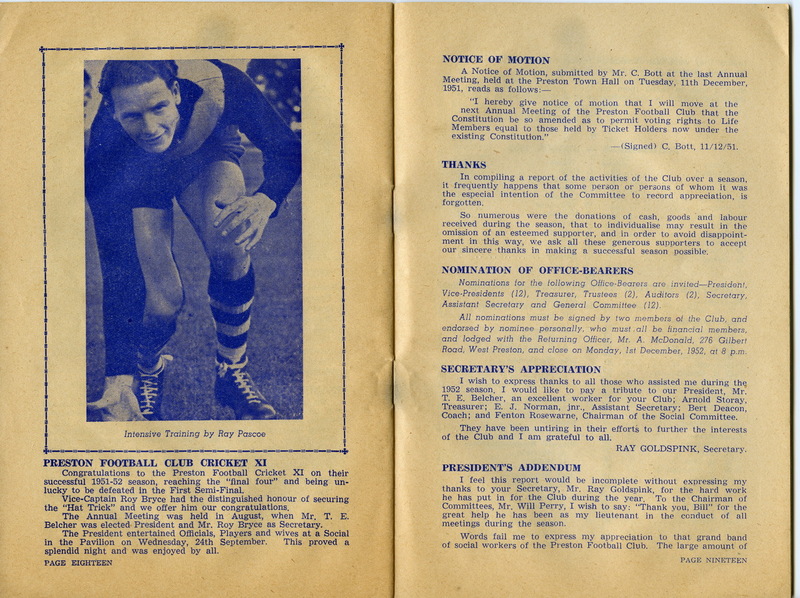 But with a population boom and rising success, Preston rejoined the VFA in 1926 as part of the turnoil when Hawthorn, North Melbourne and Footscray left the VFA for the VFL. 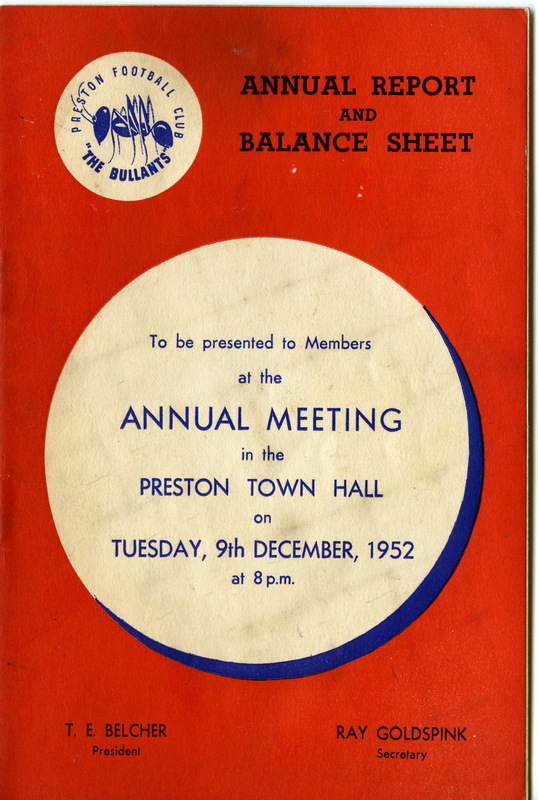 After rejoining the VFA Preston were finalist in 6 of their first 10 years but after that found little success and were moved into the VFA Second Divison when it was created in 1961. 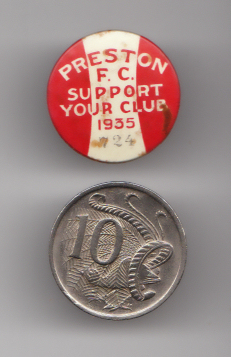 The 1960's brought success for the club with two Second Division Premierships in 1963 and 1965, and then, finally, VFA premierships in 1968 and 1969. The club win a further VFA premierships in 1983–84. 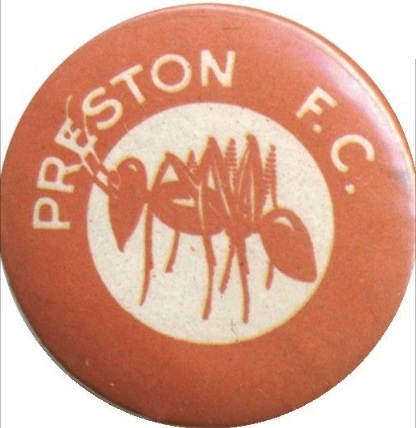 Late in 1885, the Preston and Gowerville Football Clubs merged and the club was briefly known as "Preston and Gowerville". The "Gowerville" name had disappeared a year later and the club regarded the original Preston club formed in 1882 as its forebearer. 1926 - Broad red stripe with white sides and sleeves. Post World War Two - Guernsey colours changed to all red with a white PFC monogram. 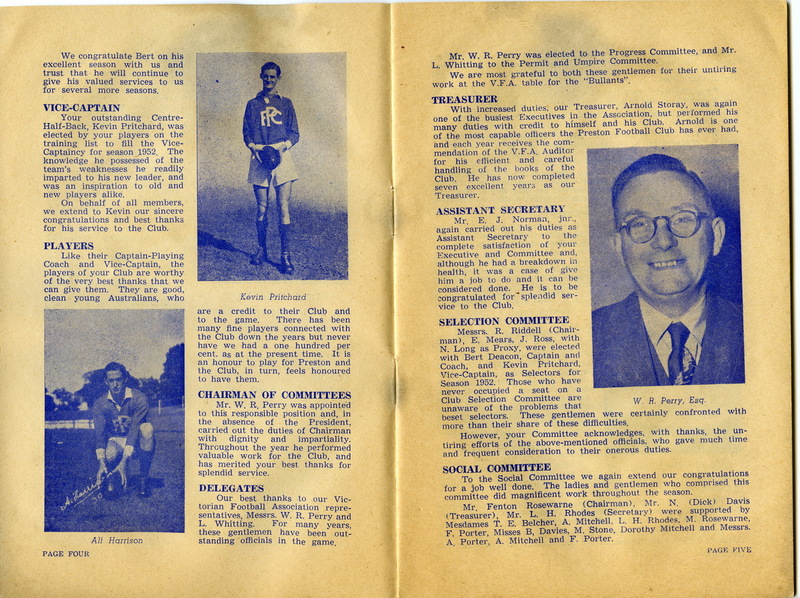 Thanks to Brian Membrey for many of the club details that appear on this page.